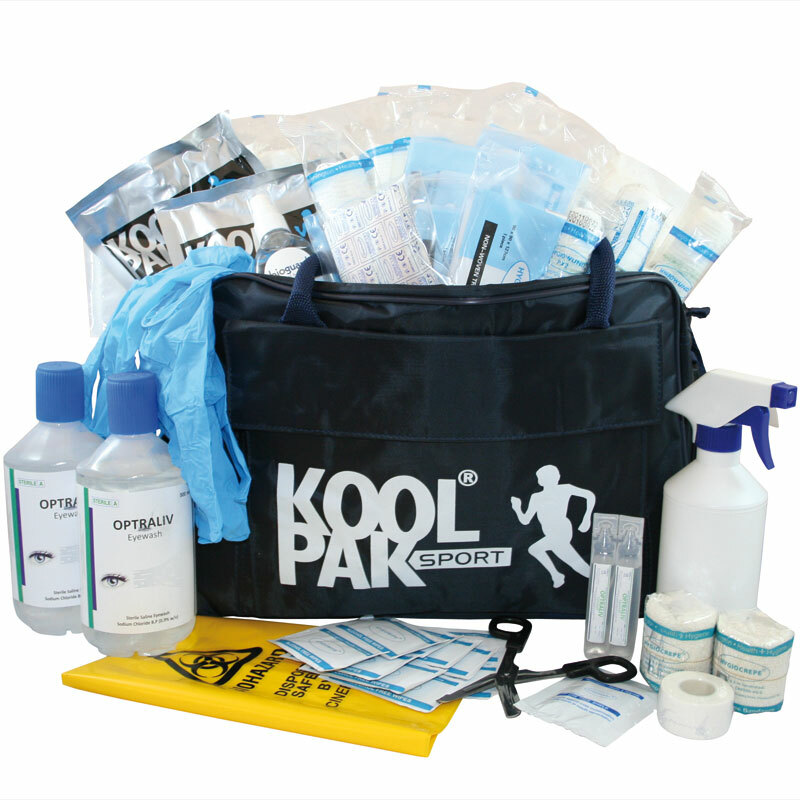 The Koolpak ® Football Association Recommended Sports First Aid Kit is a football first aid kit containing all the first aid kit items recommended by the football association for treating injuries sustained on the pitch. Suitable for teams playing at any level. Roomy and waterproof touchline bag with pockets at either end. A front compartment and a zipped compartment in the main bag section. Bag Size 39 x 28 x 19cm. Refill available. Please search on our website for Koolpak Football Association Recommended Sports First Aid Kit Refill. 1 x Cotton Wool Roll 15gm. 2 x Crepe Bandage 10cm x 4.5m. 2 x Crepe Bandage 15cm x 4.5m. 2 x Eyewash Bottle 500ml. 2 x Eyewash Pods 20ml. 1 x Hand Gel 50ml. 2 x Instant Ice Pack. 1 x Reususcitation Face Shield. 2 x Self Seal Waste Bags. 6 x Sterile Dressing Large. 2 x Sterile Dressing Medium. 2 x Sterile Eye Pad. 1 x Zinc Oxide Tape 2.5 x 5m.